"God didn’t design us to be sad. 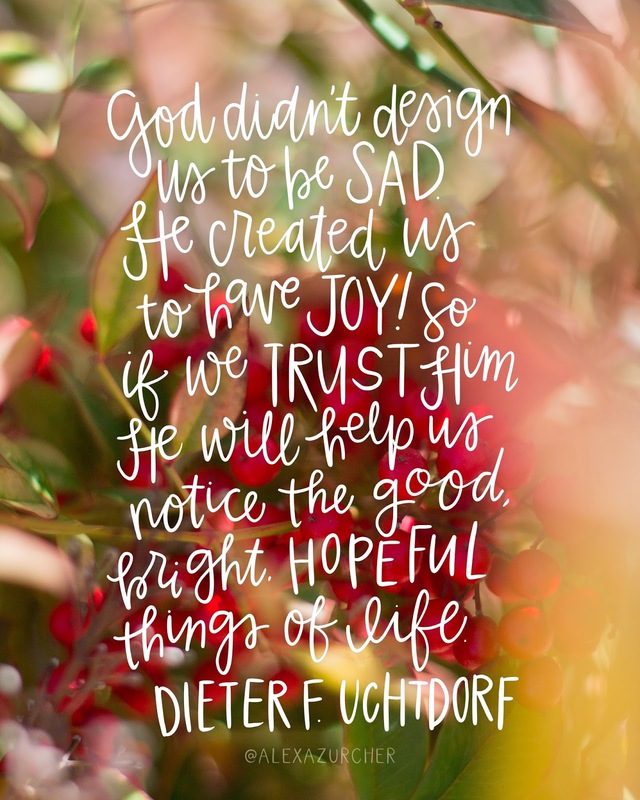 He created us to have joy! So if we trust Him, He will help us to notice the good, bright, hopeful things of life. And sure enough, the world will become brighter. No, it doesn’t happen instantly, but honestly, how many good things do?"